Tablets are beginning to make a big display in the world and are responsible for keeping people informed, entertained, and connected. The world of technology continues to grow and as it does, employers are streamlining processes and parents are also equipping their children with these devices. But what happens when you child or employee are doing something that is not in their best interest? Tablet monitoring software is available for purchase and can be used to monitor your child’s use on the tablet. You can now know for sure what is going on with a simple installation of tablet monitoring software. 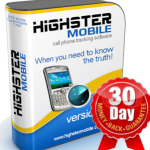 5 Highster Mobile 2/10 -Phone Support -Support Tickets Yes, 30 days $69.99 We do not recommend this product, take a look at one of the other ones. 6 iKeyMonitor 2/10 – Support Tickets -Chat No, $49.95 We do not recommend this product, take a look at one of the other ones. 7 SpyBubble 1/10 -Support Tickets Yes, 60 days $49.95 We do not recommend this product, take a look at one of the other ones. One of the many benefits of tablet monitoring services is that you can always know and see what your child is doing. There are many applications out there that can hurt your child and it is never a good idea to blindly let them have full access to the app store. There are software programs that allow you to disable application downloads and some that will notify you if an app is downloaded. Another benefit of monitoring services is that you can watch what your child is doing when they are online. There are many bad websites out there that can harm their tablet and also provide inappropriate content. Lastly, watching what your children do on their tablet is a great idea because you can see who they are communicating with and know that they are talking to those in their age bracket. mSpy is a great choice for both business owners and parents. The program has a business and home option and each one is packed full of features. This program is the top choice for many employers. You can always reach someone via phone, live chat, or email. Spyera is a bit more expensive than any of the other choices but this is because it is loaded with tons of features to help you monitor both children and employees. They offer support through email and also phone. This program offers the most basic features and is only good if you are looking for one or two monitoring options. They offer support through tickets only. This program is better for someone who is only looking for the basic features. You are not necessarily going to have all of the features that you want with this program. It is still a great program though if you just need one or two monitoring services. They offer help through support tickets and phone calls. 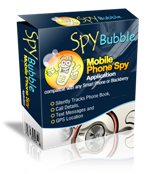 This program is decent and is primarily used for tracking cell phone use and not tablets. The program only has the basic features. They offer help through support tickets and phone calls as well. MobileSpy has been providing monitoring services since 2003 and has become a very reliable choice. Business owners and parents can both use this program. They offer support tickets, live chat, and also phone support.